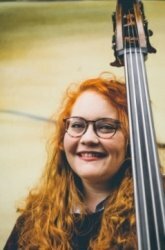 Hi, I'm Sophie and I am a professional musician in the North West. With two Music degrees from the University of Manchester and a prestigious playing career, I can offer a wide range of expertise in my teaching. My Masters degree is in Composition, with specialisms within that of Music Theory and History. 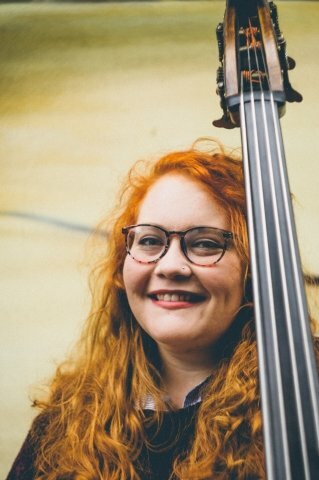 I am also a professional freelance Double Bass and Bass Guitarist, appearing regularly with orchestras and ensembles in the North, as well as over 30 musical pit-band credits and a well-respected function and wedding band. I am a confident and experienced teacher of music, both instrumentally and theory based. I am currently employed by Stockport Music Service and Derbyshire Music Partnership. I can cover all aspects of music theory up to ABRSM Grade 8 and GCSE and A-Level. I can also teach History of Music as well as aiding with listening and writing exercises to prepare for exams and coursework. I can teach Bass Guitar and Double Bass in a variety of styles, including classical, rock, pop, jazz, blues and folk. I also teach the Violin and Classical Guitar/Ukulele. I am happy to work through grades or through other methods of progression without exams if you prefer. I am experienced teaching children and adults of all abilities and happy to travel or teach in my home. I have taught students of all ages and all abilities throughout my time at University and beyond. I have run workshops in schools on composition and performance, and I have given classes and workshops at the University as part of the Outreach programme to children with special needs, disadvantaged children and elderly people with dementia. I am currently employed by Stockport Music Service and Derbyshire Music Partnership, as well as teaching privately. I have three approaches to music tuition. The most common is progression through Grades (ABRSM, Trinity, Rockschool etc) as this provides a quantifiable method of measuring improvement and many pupils work well with a goal-orientated structure. However, for some students, exams are too stressful and they do not want to progress through Grades. If this is the case, I am happy to teach through pieces and exercises that I have selected to improve techniques and musicality with goals and a timeline. Some students just want to learn for fun, or they may be picking up an instrument after years of not playing. If this is the case, I am more than happy to focus the lessons on having fun and learning pieces they can play to impress their friends and family rather than putting any pressure on. SophieFrom Mark (5/5): I am 56 and learning the Violin as therapy for a mental health issue. Sophie is absolutely brilliant in her teaching, very patient.